In 2016, significant media attention was given to lead particles found in the drinking water of various municipalities, with special attention given to Flint, Michigan. Much of the concern regarding the ingestion of impermissibly high lead levels has focused on the effects that high blood lead levels can have on children; however, the ingestion of lead particles can also lead to lead poisoning in adults. When adults are exposed to very high levels of lead, symptoms such as abdominal pain, headaches, irritability, loss of appetite, memory loss, and a tingling sensation in the hands or feet are commonly reported. More serious effects include anemia, kidney damage, and brain damage. The Centers for Disease Control also cautions that lead can cross the placental barrier, which means that pregnant women who are exposed to lead can also expose their unborn children to lead and impact the developing baby’s nervous system, intelligence, and behavior. Lead exposure in pregnant women can also lead to miscarriage and stillbirth. Although there are many sources from which a person potentially can be exposed to lead particles (see “Debunking The Lead Paint Myth”), lead exposure from cosmetics products is a topic that is often overlooked. 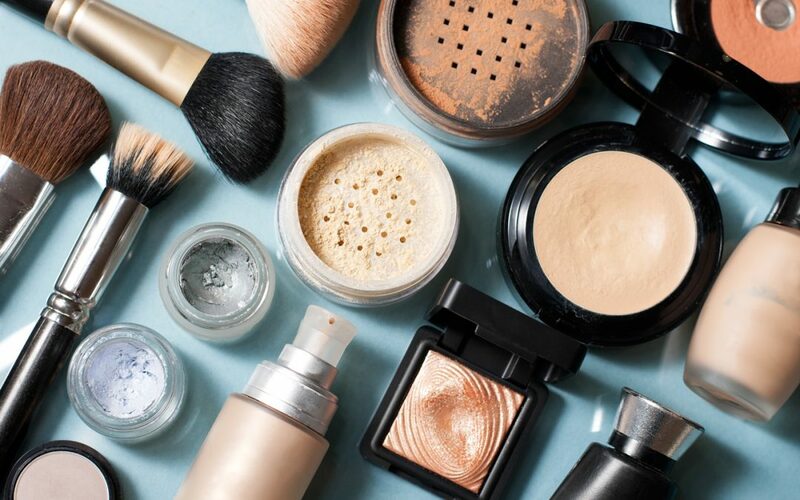 However, the Food and Drug Administration (FDA) tested hundreds of cosmetics products (including lipstick, eye shadow, blush, mascara, body lotion, foundation, body powder, and compact powder) and found that many of the cosmetic products available on the U.S. market contain lead particles. Based on its research and testing, the FDA recently released a draft guidance document (FDA Guidance Document) in which it recommended a maximum level of 10 lead parts per million in cosmetics products. Although not a final or binding document, the FDA’s recommended maximum level would fall into line with Canada, the European Union, and the International Cooperation on Cosmetics Regulation, all of which already have a 10 parts per million limit in effect. The good news is that the FDA’s testing shows that 99% of the cosmetic products sold in the United States already fall below the recommended 10 parts per million level. In addition, the FDA is quick to point out that the actual dermal absorption of lead particles from externally applied cosmetic products is relatively low. Nevertheless, it is important to keep in mind that the possibility for lead particle ingestion exists in everyday consumer products and not just from industrial, lead paint, or water sources. If you have questions regarding lead poisoning, lead paint, the FDA’s draft guidance document, or any landlord-tenant issues related to lead, we can help. John Gardella has represented clients in lead poisoning claims, including defending homeowners, landlords, and property managers in Housing Court and Superior Court. If you have any questions or would like more information, please contact John Gardella at 617-936-4353, Ext. 204 or email him.